If you plan on selling your mobile home in the State of Florida, you and your buyer must complete specific documents and fulfill other requirements before the transaction is complete. When transferring the ownership of a mobile home in Florida, both the buyer and seller must fill out and submit a bill of sale to Florida's Department of Highway Safety and Motor Vehicles. A bill of sale is a legal document stating details about a transaction, such as the sale of a mobile home. Obtain a Notice of Sale and/or Bill of Sale for a Motor vehicle, Mobile Home, Off-Highway Vehicle or Vessel application form. You may download a copy from the official FLHSMV website. Alternatively, pick an application up in person at your local FLHSMV office. To find your local county tax collector office, use the office locator on the FLHSMV website. 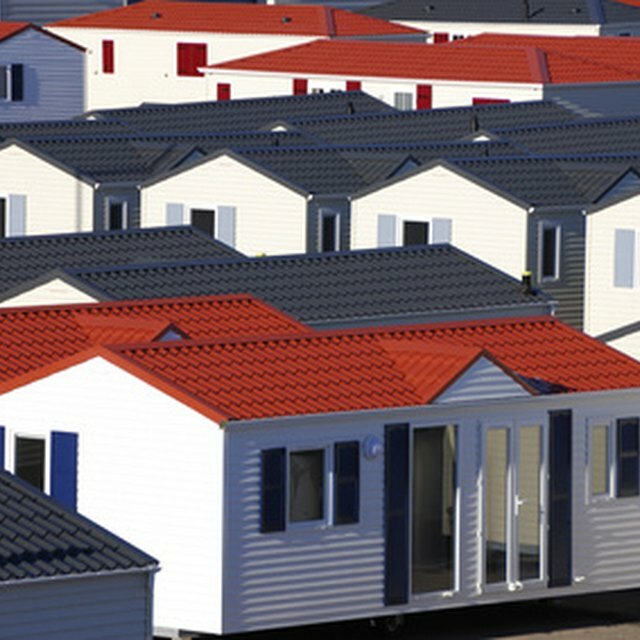 Meet with the buyer of your mobile home to complete the bill of sale. Fill out section one with your purchaser. Information that you must provide in this section include the year, make, body type, model, color, certificate of title number and identification number of the mobile home. In addition, the buyer's name and address must be recorded. Lastly, write the amount that you are selling the mobile home for and the date of the sale. Complete section three together. The seller must provide his name and address in this section. Both the purchaser and the seller must sign and date the bill of sale once all the information has been entered. Submit the bill of sale. Either mail or bring the original completed bill of sale to your local county's tax collector office along with any other documents required to successfully transfer ownership such as an Application of Certificate of Title With/without Registration Form. Depending on the county in Florida that the seller conducts business in, he may have to pay a tax on the sale of his mobile home. The sales tax varies from one county to the next; contact your local tax collector office for more details. For recordkeeping purposes, make photocopies of the completed bill of sale for both you and your buyer to keep. Depending on the county in Florida that the seller conducts business in, he may have to pay a tax on the sale of his mobile home. The sales tax varies from one county to the next; contact your local tax collector office for more details. For recordkeeping purposes, make photocopies of the completed bill of sale for both you and your buyer to keep. Nancy Chen is a professional writer and owner of a pet care business. She is also certified to teach English to middle and secondary school students. Chen holds a bachelor's degree in English and comparative religions from Tufts University, as well as a Master of Theological Studies from Harvard University.